Associated Student Government on Wednesday passed legislation to create a $25,000 community-building grant that will be used to fund internal bonding, as well as building events or ideas for identity- and affinity-based organizations. The grant will complement the InclusionNU fund, which also seeks to support marginalized communities by providing funding for those groups to engage in identity development, skills development, as well as education and awareness. But the grant — as opposed to both InclusionNU and the rest of the $1.5 million student activities fund — will also be available to student groups that are not University recognized or don’t already have an account with the Student Organization Finance Office. “I really think this is a great opportunity, especially for those organizations that can’t get (Student Activities Fund) funding through ASG, those smaller groups that need help getting those funds,” said Javier Cuadra, the Multicultural Greek Council senator. The money for the fund will be taken out of the recently created $45,000 ASG-administered innovation fund, which was created to help student groups in dealing with unforeseen costs for events and provide funding for innovative ideas by those groups. Izzy Dobbel, the former vice president of A-status finances and author of the legislation, said ASG anticipates that it won’t need the innovation fund in its entirety, leading it to pull part of its funding to create the community-building grant. Dobbel said she expects more need for the community-building grant based on responses from a survey of more than 10 student organizations that would be eligible for the grant, such as Rainbow Alliance and For Members Only. The surveys asked whether the student organizations would be in favor of receiving funds for internal building and bonding. 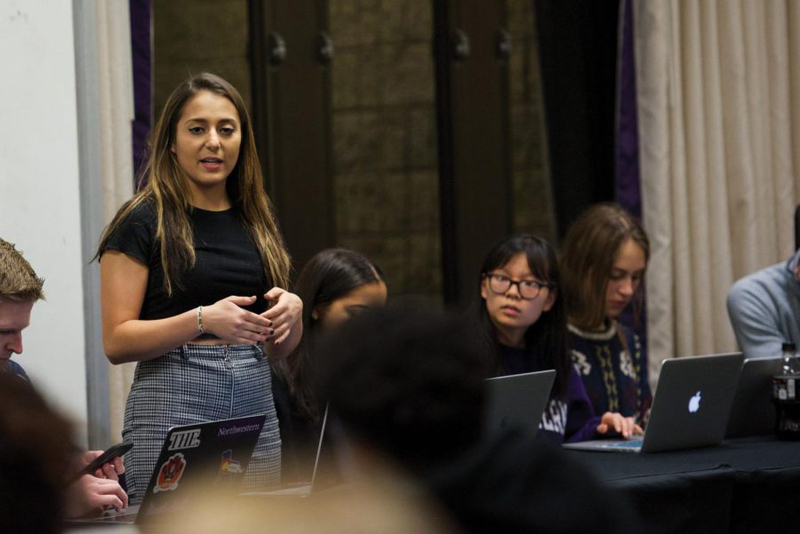 Partly as a result of those surveys, the legislation will not mandate that student groups make their bonding events open to the entire Northwestern undergraduate community. This marks a departure from a rule that ASG has until now enforced when funding student groups. The legislation comes after a string of efforts by ASG to increase inclusion on campus, including resolutions to expand gender-open housing options, establish a first-generation, low-income student center and legislation to create an Executive Officer for Justice and Inclusion within ASG. Conversations with groups eligible for the grant have demonstrated that there is already substantial interest in the fund, said Maanas Bhatt, the vice president for student activities finances.